When it comes to the saying “be the change,” interior and product designer Libby Langdon has fully embraced making it happen. Respected in the residential and entertainment industry as a makeover queen, Langdon has elevated homes from “ehh” to elegant for years. 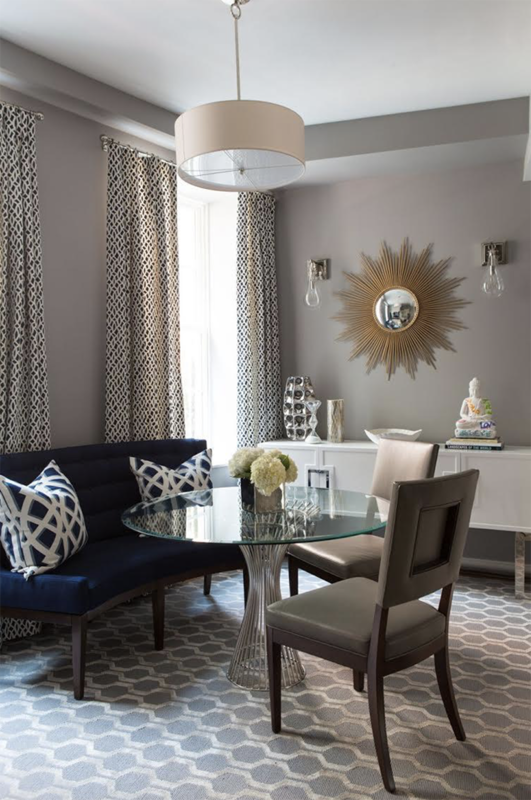 She has been a guest designer on hit HGTV shows such as Small Spaces and Big Style, brought the party to NBC’s Open House in 2012, and penned a guest column in House Beautiful for two years. Her “Libby’s Makeover” column helped designers and homeowners to see the potential in their spaces and bring change to outdated rooms. Inspired by her clients to create liveable, loveable decor and furniture for her projects and others, Langdon has collaborated with brands such as Crystorama and an upcoming wall decor line with Paragon. 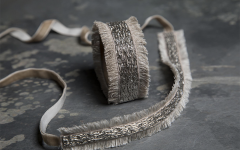 Recently, her Libby Langdon Upholstery brand of furniture made its positively-received debut. Meet Libby this Designer Friday as we discuss her upcoming collections and envision a dream hotel for Jimmy Buffet. Makeover artist Langdon weaves multiple patterns and a mind-bending table into this once-mundane sitting room. 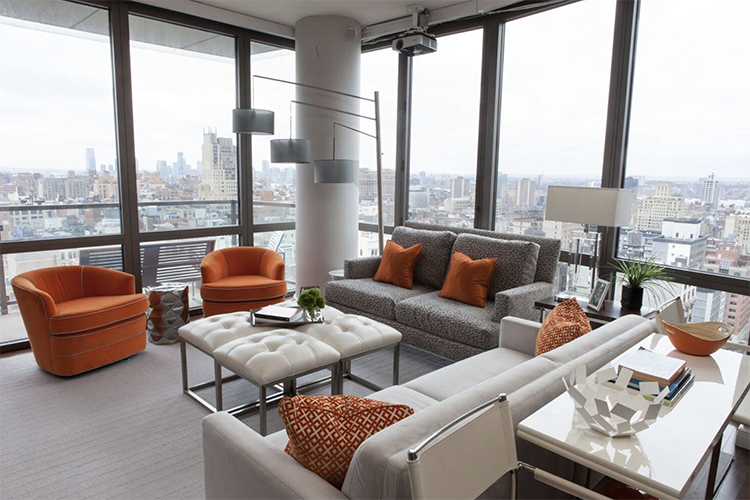 This NYC high-rise is given a bright-orange treatment from Libby, who adds cushioned seating and carrot-colored accents to a contemporary sitting room. Libby Langdon – Hmmm, not doing too well on this front. I work A LOT! Andrew – Dream project to take on. Libby – I’d love to design a hotel in the Caribbean for Jimmy Buffet. I’d make it chic, beachy and super fun: bright colors, lots of bars and tons of hang-out spaces. I’d blur the lines between indoor and outdoor spaces with all the same creature comforts in exterior areas like rugs, drapes, lamps, artwork and stylish accessories. I’d design super luxe outdoor private cabanas to enjoy during the day, and an oceanfront restaurant where you’d dine with your toes in the sand at night. I would most likely take my entire design fee in yearly vacation time and margaritas. Libby – My Mom, only because she’s good at it. A few people, who are all still alive (thank goodness), have already asked her, and they’ve all liked the obituaries she’s written for them. Libby – Drowning in a tidal wave…and people seeing pictures of what I looked like in the ‘80s. Libby – I don’t really watch TV other than PGA Golf Tournaments or New York Jets Football. Libby – I’m awesome at parallel parking. I’ve lived in NYC for 32 years, and it’s a necessary evil if you have a car. I know how to cut the wheel to get the tires at just the perfect angle, and I can squeeze our big SUV into some super tight spots and still really close to the curb. It makes most doormen on the street raise an eyebrow. I’ve got parking skillz! Andrew – The most adventurous thing you’ve done in your life? Libby – I moved to NYC by myself from North Carolina when I was 16 years old. I was modeling and lucky enough to have parents who let me follow my dream. They weren’t interested in making the entire family follow me, so they all stayed in NC. I finished high school at Professional Children’s School, which offered most classes via correspondence since most of the kids worked during the day as actors, dancers, musicians and Broadway performers. I spent my junior year of high school traveling and working all over Europe, everywhere from Milan and London to Hamburg and Lucerne. It was an incredible experience, and I loved every second. I do look back and think about those adventures as a seventeen-year-old and how lucky I was to have been able to experience all that I did. Libby – Easy, Elegant, Everyday Style (that’s four words). Libby – I’m incredibly excited to be working on a new line of wall décor with Paragon, which will launch at the October Market in High Point. I’m so passionate about how important it is to get art up on client’s walls. This can sometimes be a challenge if they aren’t sure what they like and want, so they end up waiting to find that one special piece. This is usually a recipe for empty walls. 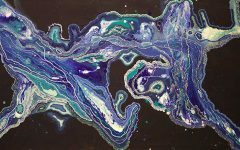 I’ve dreamt of creating my own collection with a combination of photography, abstract art, and prints that are accessible, approachable and easy to live with. So, for now, to be in the thick of this design process is thrilling, inspiring and energizing! Libby – Be FEARLESS. Don’t worry about what other people think of you. Take chances and try a lot of different things because you never know what will stick! Andrew – The best gift you’ve ever given? Libby – We just recently gave my Mom a Pomeranian Puppy for Christmas. To see them together and how happy she makes my Mom made me cry. It’s not that often you can give someone a constant companion and their new best friend. Libby – Someone recently said that I was the one woman who significantly influenced and inspired them to start their own business, and that my energy and fearlessness are contagious. That made me feel fantastic! Andrew – Sweet or savory? Andrew – What’s one thing that is always in your refrigerator? Libby – Kiss my husband! Summer looks good, but a summer house makeover from Libby Langdon looks even better! About Libby Langdon | Libby Langdon is an interior designer, author, product designer and makeover television personality, as well as the creative force behind New York City-based design firm, Libby Interiors, Inc. Langdon’s residential and commercial projects, which embody her “Easy, Elegant, Everyday Style,” have won industry acclaim. In 2018, the firm completed over 21 design projects for clients up and down the East Coast, and more than 17 the previous year. 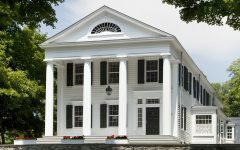 In addition to penning Libby Langdon’s Small Space Solutions and being a long-standing House Beautiful columnist (“Libby’s Makeover” ran for two years), Langdon is also a frequent contributor to leading shelter publications. Langdon is fast becoming known for her growing licensed home-furnishings collections. 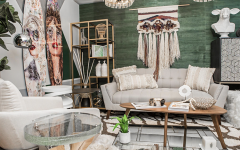 In January 2019, she announced a partnership with Paragon, an award-winning wall art, mirrors, and lamps manufacturer. The much-anticipated wall-décor collection is set to launch in Fall 2019 at High Point Market. Her collection of Libby Langdon Upholstery Furniture features sleek, fresh silhouettes for modern lifestyles and is available at retailers nationwide. The Libby Langdon Lighting Collection for Crystorama personifies her passion for beautiful chandeliers and fixtures, showcasing transitional looks with an updated twist. 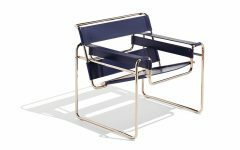 Her outdoor furniture collection for NorthCape consists of four full collections, each including deep seating, dining and chat groups that explore her love for creating chic outdoor spaces. Additionally, Libby has indoor and outdoor rug collections with KAS Rugs, which are sold online and in retailers across the country. 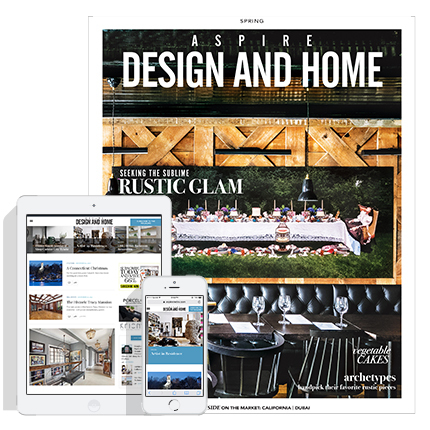 Her interior projects and home products have been featured in leading shelter magazines, including Architectural Digest, House Beautiful, Traditional Home, Hamptons Cottages & Gardens, Better Homes and Gardens, Domino and Woman’s Day. Langdon has been a regular design expert on NBC’s TODAY, HGTV’s Small Space, Big Style, The View, The Rachael Ray Show, The Early Show and NBC’s Open House. 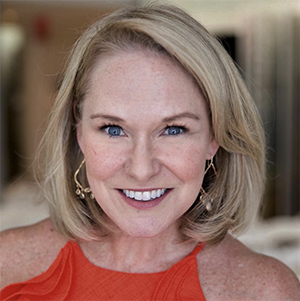 Thanks to her work in makeover television, Langdon draws inspiration for her home-furnishings collections from countless conversations with consumers across the country about how we really live and what we really want. Libby recently led a makeover with the She Builds Women in Real Estate committee in New York City, guiding more than 140 female volunteers and transforming a public housing community center in 12 hours. She reimagined the design for the community center and used her connections with Sherwin-Williams to get more than 340 gallons of paint donated for the one-day redesign. Libby recently joined the board of the Bienenstock Furniture Library in High Point, NC, and will in 2019 be working to raise awareness of this valuable resource available to everyone in the home-furnishings industry. Langdon travels the country presenting her design seminars to consumers, designers and retailers about all things design. 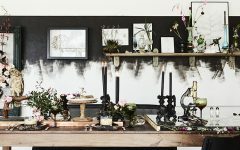 In addition, she holds book signings and appears on local and national radio and television to promote her collections and provide design advice. Libby splits her time between New York City and Sag Harbor, NY.